Although things at the shop are still not necessarily perfect (they probably will never be, which I'm learning is okay), they're running quite smoothly. The bad employees have already come and gone, and the good employees, it seems, plan to stay. The chef is becoming satisfied with the way his kitchen is organized. We've gained control of how to handle a new part of our business -- deliveries -- and haven't had anyone tumble off their bikes just yet. We've even reached a point where we can handle receiving three consecutive calls for rather massive orders at the height of the lunch rush that all need to be ready, like, now. All in all, we've had a lot of small victories lately. As a result, life has felt incredibly light these days. The chef and I smile a lot. And have found the time again in our day to laugh at our corny inside jokes and think it is funny when one of us trips over her own feet (and not feel like it is the end of the world and is going to ruin the entire flow to our day). Today, when I left our house, I caught myself temporarily paused on our steps, just sipping my coffee and admiring the morning light. This afternoon, when someone casually asked me in passing how things are going, rather than stutter off a typical "Uh, not too bad," I found myself saying, "Great! Things are great!". Because, simply put, they are. As the shop has been falling into a daily rhythm, I've been falling into a rhythm, too, and have managed to carve out a little time every few days to focus on my writing again. This week, I was thrilled to write a little something for Food52, one of my favorite places to visit on the web. 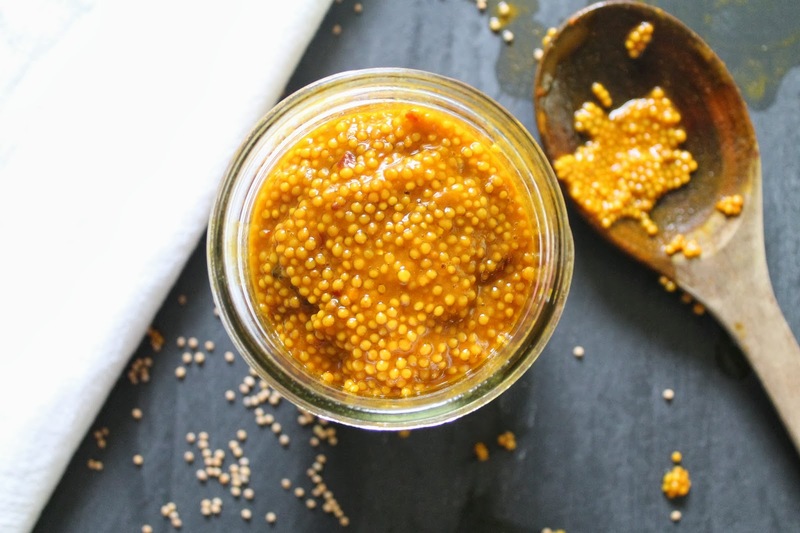 The recipe I prepared for their Small Batch column -- Pickled Mustard Seeds with Honey and White Peppercorn -- is easy to make and incredibly fun to eat. They're like the Pop Rocks of the condiment world, meaning they make me smile every time I eat them. Which is why, this week, making them felt incredibly right. I hope you'll enjoy them! Thoroughly rinse the mustard seeds in a fine mesh sieve. Add the drained seeds, ¾ cup of the white wine vinegar and the salt to a bowl and set aside. Allow the seeds to soak at room temperature for one hour. 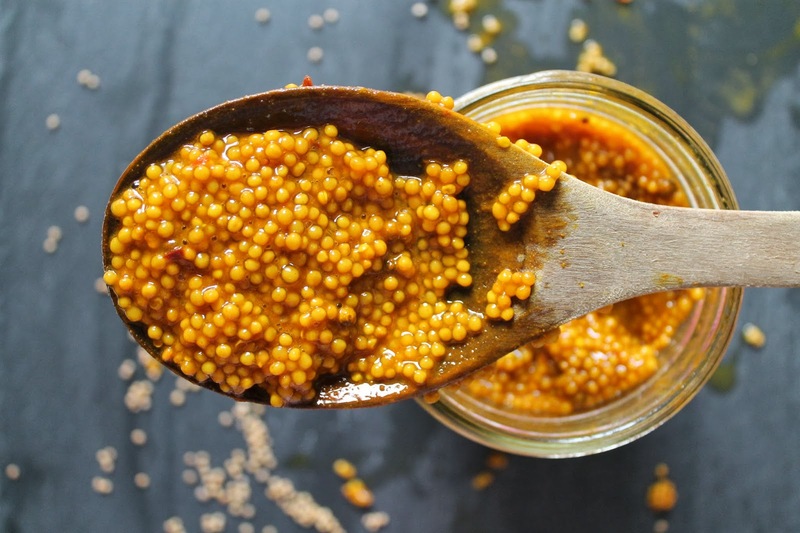 Add the honey, turmeric, peppercorns and red pepper flakes to the seed mixture, gently stir and pour into a small saucepan. Bring the mixture to a simmer over medium high heat, being sure to stir the bottom and sides of the saucepan regularly, and continue to cook for about 20 minutes. Remove the saucepan from the heat and allow to cool (the mixture will continue to thicken). Once the seed mixture has returned to room temperature, stir in the remaining white wine vinegar. 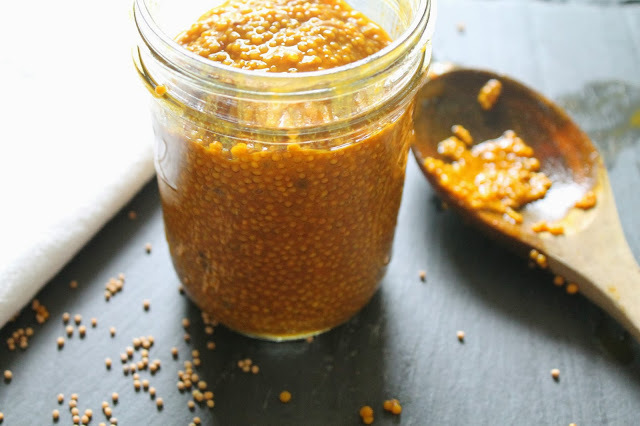 When stored in an airtight jar and kept refrigerated, the pickled mustard seeds will keep well for about 3 months. Mmm, I love the look of this. Makes me want to pair it with Cheddar or goat cheese and figs. Lovely. Just found you through Saveur. A beautiful site. I look forward to returning. Purr. Thanks for your note! I'm so glad you found my site! Yes, I totally agree…these are wonderful when paired with a big hunk of sharp cheddar! One of my favorites!